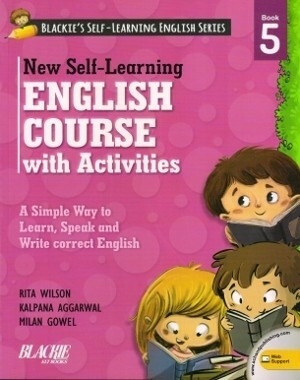 New Self-Learning English Course with Activities is a series of ten books that is especially designed for primary classes, keeping in view the latest trends of Communicative Teaching of English Language. The aim of the series is to help the learner attain Communicative Competence in the English Language. New Self-Learning English Course with Activities is designed to teach students the basic skills of communication and to use English effectively and with confidence in all situations. These books are written, keeping in mind the NCERT and CISCE guidelines for classes 0A, 0B, and 1 to VIII. The topics as well as exercises at the end of every chapter have been thoroughly revised by incorporating addition as per CBSE scheme for Continuous and Comprehensive Evaluation (CCE).